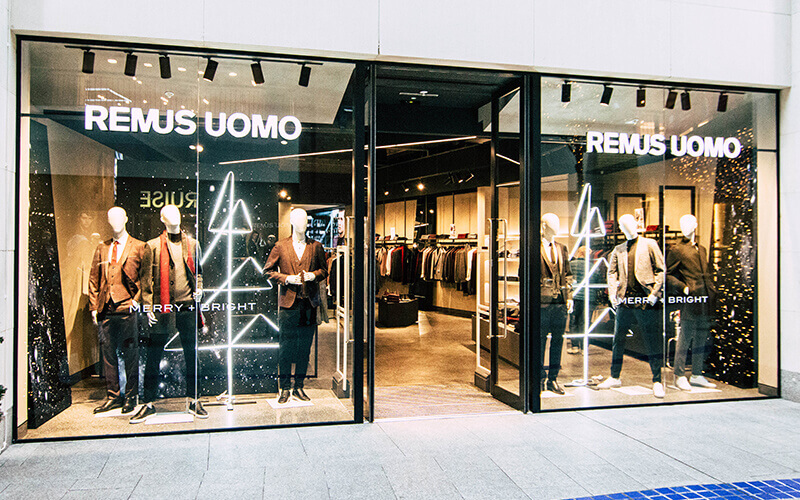 Taking inspiratation from the world’s catwalks, Remus Uomo’s aim is to achieve bold, inspiring casual looks that are the definitive looks of the season. The product is aimed at style concious gents in their 20’s and upwards always ensuring there is an ageless feel to product range. Selling throughout Europe, they are proud to showcase our new concept flagship store in Victoria Square.